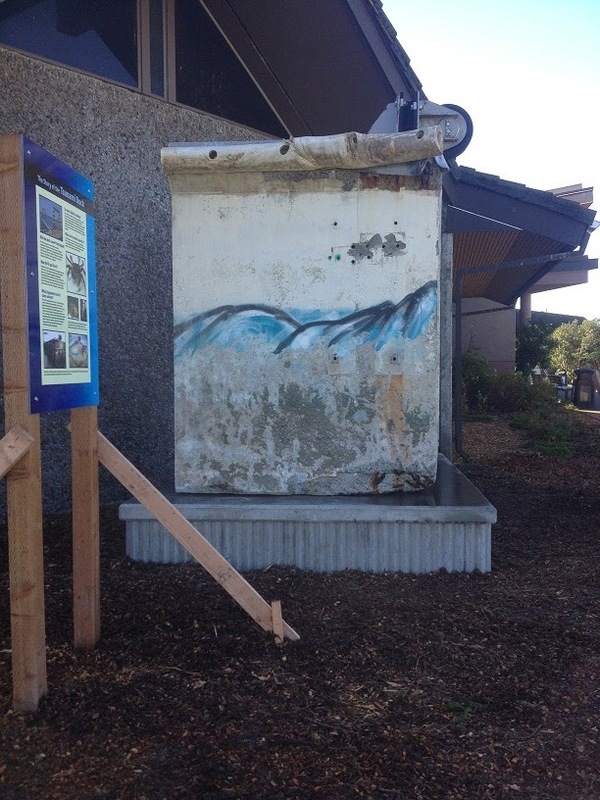 As promised, a small section of the tsunami dock that washed up on Newport's Agate Beach last summer is now on display at Hatfield Marine Science Center in Newport, Oregon. The dock is only a small portion of the 61-foot dock, and a small section of what was originally planned for the exhibit. In January, it was discovered that the originally-planned section was not only too big to display, but too big to even reach its destination to HMSC. The dock has since been 'pared down' to a more practical size. Side view of the dock section, showing the memorial mural that anonymous artists painted on the dock while it was still on the beach. 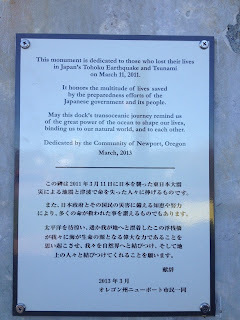 You can find the dock outside of the HMSC Visitor's Center at 2030 SE Marine Science Drive, Newport OR. 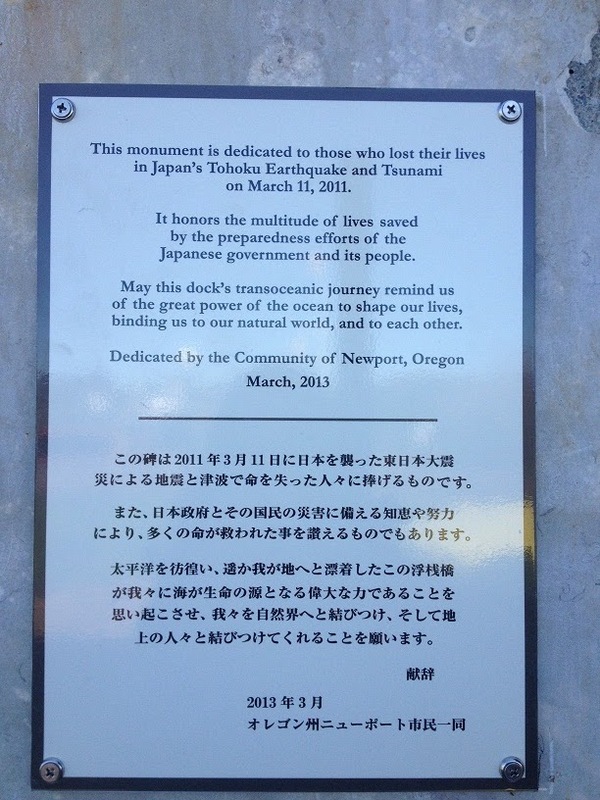 It is displayed with a memorial plaque, information on the 2011 tsunami, and a board explaining evacuation procedures for the area should an earthquake occur here. The section of dock itself is reminiscent of an en vogue industrial art piece- a large piece of concrete with rebar, hardware, and remnants of barnacles encrusted on the sides. 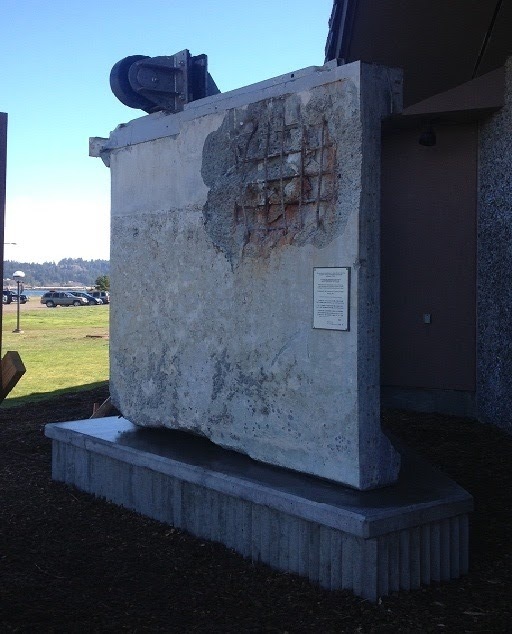 If you are in the area, the HMSC Visitor's Center is free to the public and open on weekdays. The dock can be viewed any time.